With ever-rising prices for your weekly shop, finding ways to cut your grocery bill should be high on your To Do List. Follow our tips on how to save. #1 Write a Shopping List… and Stick To It! Almost half of shoppers overbuy because we forget what we really need. The easy solution is to create a list on your phone using a free app such as Out of Milk. Using an app means there’s a higher chance of jotting items down as soon as you think about them, rather than preparing a hurried list just before you go shopping. 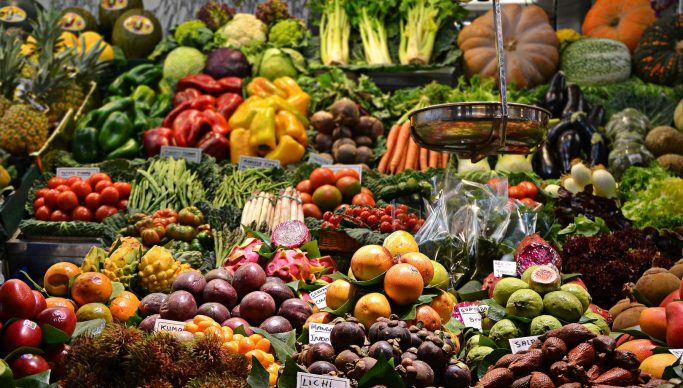 In Spain nearly 8 million tonnes of food is wasted every year with around a third of that waste attributable to households. Once inside the supermarket we’re tempted by BOGOFs (buy one, get one free), 4×3 offers and more “special prices”. In reality the price of individual products is increased just to look like we’re getting a bargain. Once again there are lots of free apps and recipe sites online that you could use. Take a look at Love Food Hate Waste for tips and their free app. Increased competition means that prices are getting more competitive online. As long as you meet the free delivery threshold, you don’t need to stick to a single provider. Take a look at our dedicated article on online supermarket shopping for more info. Every little helps, and using discount coupons for those items you’re going to buy anyway is a no-brainer. Find out which are the top sites and brands in Spain that offer coupons in our article. Try downsizing from branded to own brand products with one or two items a week. Don’t like them? Go back to your normal brand. You might be surprised by the quality of some Spanish own brands: Hacendado at Mercadona is nearly always well rated in surveys. However don’t assume that own brands are always going to be cheaper, take a moment to check before putting them in your trolley. Bigger is not always better. Every time you’re faced with a big sign indicating a special price for extra ml, grams or units do the maths (use the calculator on your phone). I’ve lost count of the times when bigger wasn’t cheaper, however as we’re usually in a hurry it’s easy for supermarkets to fool us into paying more. If bigger is cheaper, consider whether you can freeze or save part. It’s not a saving if you end up throwing some away. #7 Don’t Think That Supermarkets Know How to Divide! Carrying on from the previous tip: most supermarket prices show the price of items also per 100ml or grams, which is great for comparing between different sized products. Except that it seems that many employees don’t know how to divide 😩. Remember to take a few seconds to double check the maths. Not all supermarkets have one, but if they do and you’re a regular customer why aren’t you using it? Take a look at Carrefour’s discount cards as an example, but don’t buy more just to get a bigger discount. No, we’re not talking about the local weekly market – that’s a great place to shop and save. What we do mean are those people located at the street corner / bus stop / train station who sell whatever they happen to have got their hands on that day. Selling without a permit is illegal, but more worrying is that there have been cases of people selling foods unfit for human consumption. 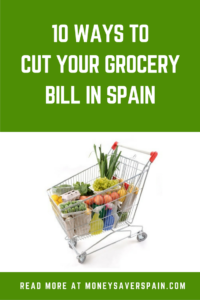 Take a look at Spanish consumer organisation OCU’s list of the cheapest supermarkets. The list includes small regional and national chains as well as the big players. There’s a considerable difference between the cheapest supermarkets at the top of the list and the most expensive ones at the bottom. Consumers can save between 276€ and 3000€ depending on their location.